Reflection Sea is a traditional complex that provides exclusively studios & apartments. In Santorini Reflexion Sea each apartment has a different decoration and architecture. Reflection Sea is a traditional complex that provides exclusively studios & apartments. 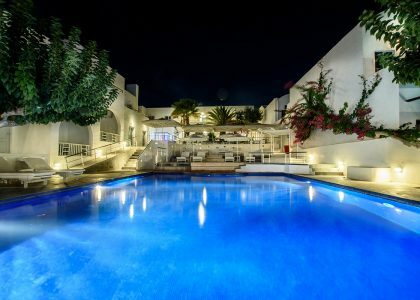 In Santorini Reflexion Sea each apartment has a different decoration and architecture. Its landmark is the Santorinian arches (santorinies kamares). The complex lays at the most famous black volcanic beach of Kamari, with the light blue sea at your feet. It is located 10′ from the airport and 25′ from the harbor. 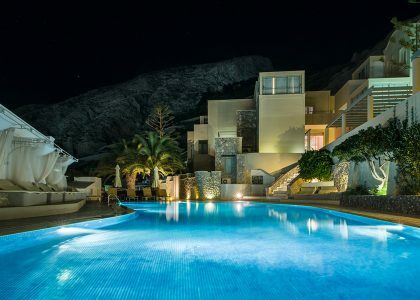 The hotel provides swimming pool, pool bar and a traditional taverna, adjacent to the sea.